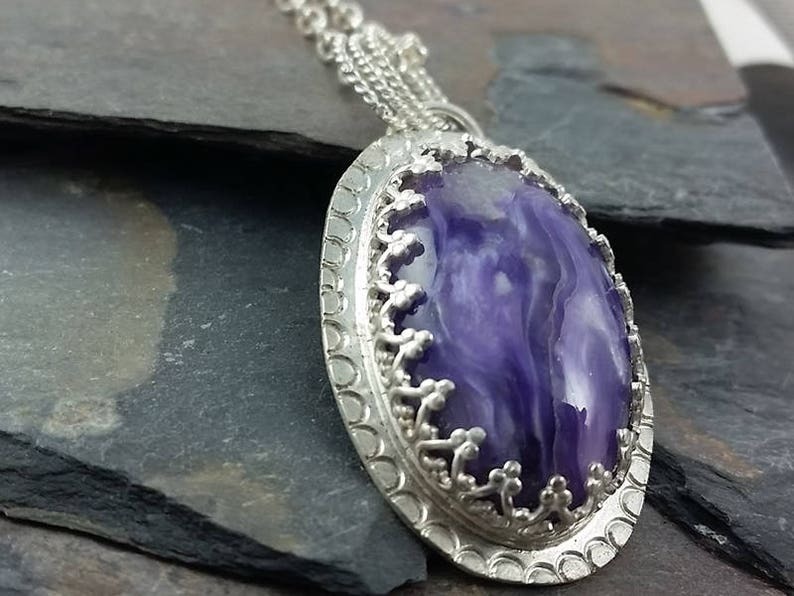 This gorgeous Charoite was cut by Etsy's own Paul Meyer of GenesisGems. It is a perfectly beautiful gem. It's been hand set in a fancy sterling silver bezel and hand stamped with a border design. It comes on an 18 inch rolo chain, but you may request a 16 inch in the "note to seller" field if preferred. This sterling silver setting measures about 1.25 inches by .75 inches. It comes gift boxed and ready to give. Through April 15th, get 15% off selected ready to ship items.